Slender Fx™ Sweet Eze™ is formulated to nutritionally support the regulation of blood sugar levels. It features chromium, which has been clinically shown to promote healthy blood sugar levels, plus the time-tested botanicals cinnamon, gymnema leaf, bitter melon fruit, and jambul seed. 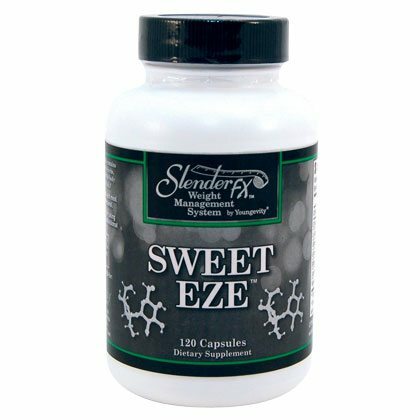 For best results, use Slender Fx™ Sweet Eze™ as part of a full nutritional program that also includes Majestic Earth® Ultimate Classic® and Ultimate EFA™. SUGGESTED USE: Take 1 sweet-eze capsule with each meal, or as directed by your healthcare professional. WARNING: If you are pregnant, nursing or taking medications, consult your healthcare professional before using this product. KEEP OUT OF THE REACH OF CHILDREN.